Memorable keepsake for a couple's 50th wedding anniversary. 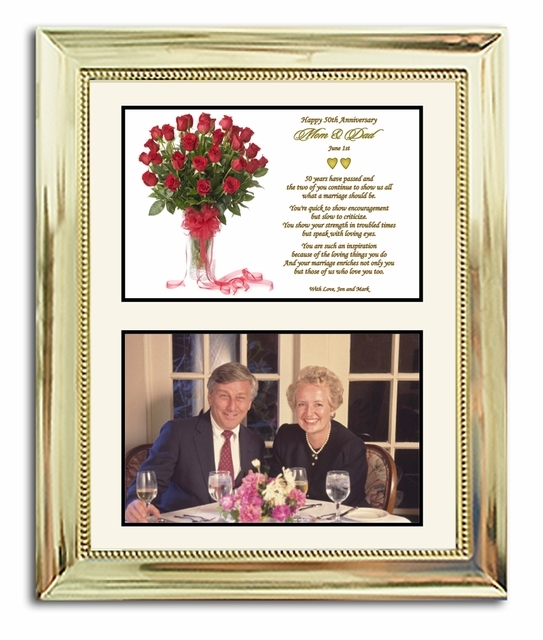 Gold metallic frame with a graphic of a lovely bouquet of red roses. Poem is printed in gold colored type. When this Poetry Gift is personalized with names and a date it will become a treasured keepsake for the anniversary couple. They have reached the Fifty Year milestone and it's time to celebrate their golden anniversary. 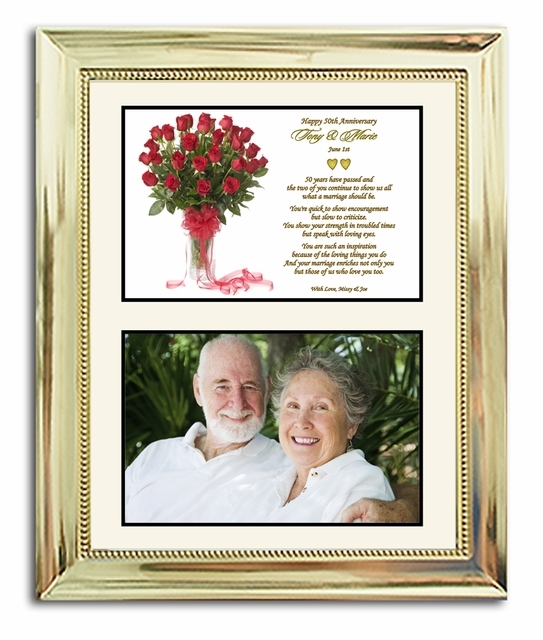 Congratulate the anniversary couple by giving them this personalized heartwarming poem in a beautiful gold metallic picture frame. A wonderful 50th Anniversary gift for parents, grandparents, aunts & uncles, and friends. Purchased for my brother's 50th and quite pleased with quality. I bought this for my parents 50th anniversary and it is perfect. I love the frame and words. REally nice quality and very well done. HIghly recommend. Thank you so much for this beautiful frame, this is prettier than in the picture , I am so happy with it,, I LOVE IT >.. The frame is quality and different. Nice 50th anniversary gift.